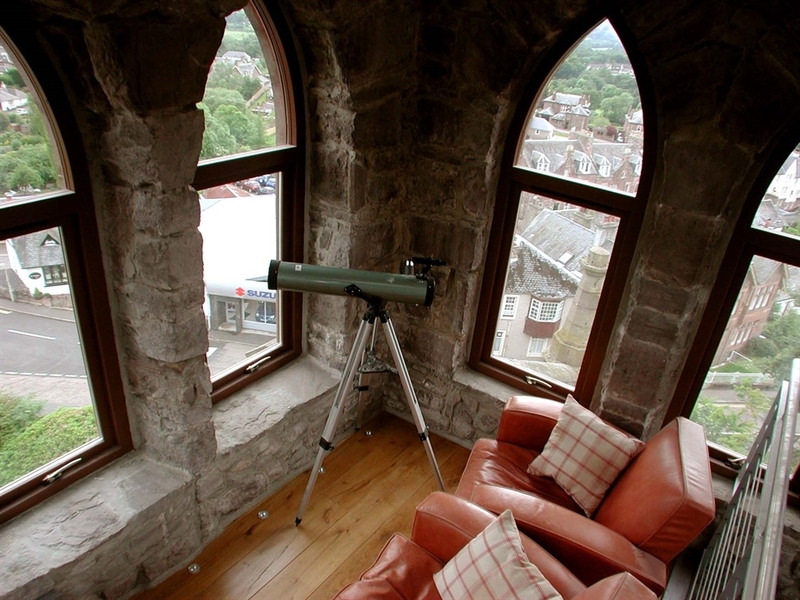 Breath-taking views from the church tower and balcony set St. Ninian's Church Tower Apartment apart. 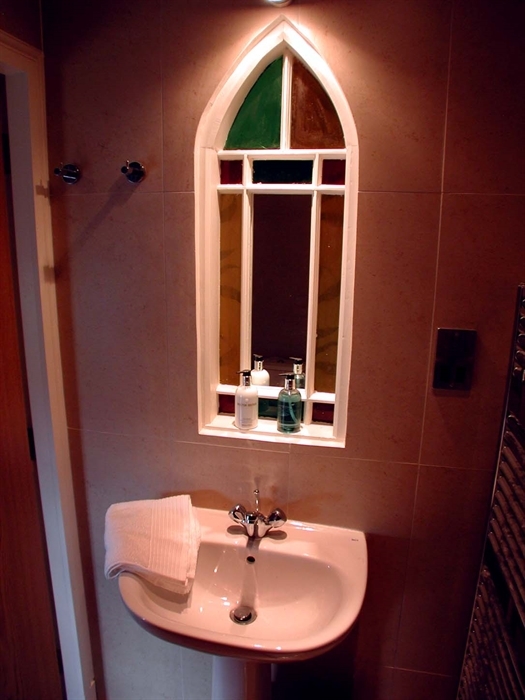 Converted Church Tower - combines original features like exposed church walls and beams, with the comforts of modern living to give an unique 5 star standard of holiday experience. The Church Tower comfortably sleeps up to 8 people. 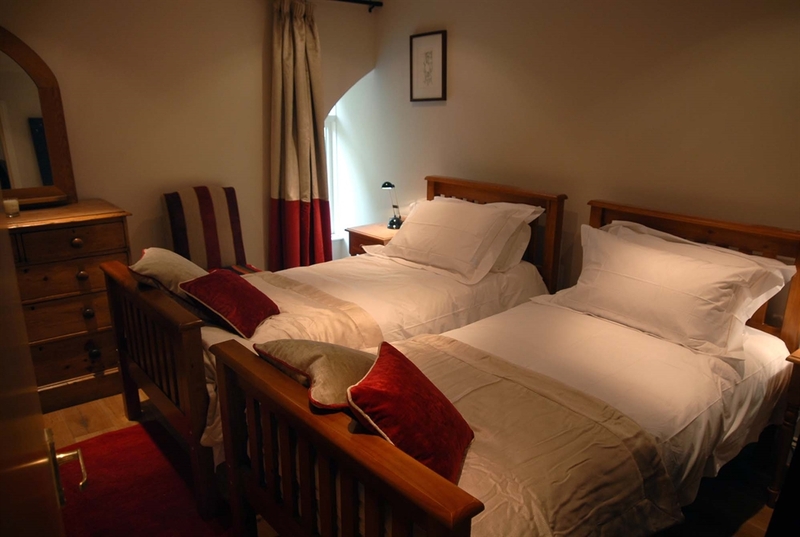 On the first floor, there are 2 double rooms (both of which have luxury en-suite wet-rooms with under-floor heating) and a twin room, together with a large family bathroom. All bedrooms are decorated to highest standards of style and quality. All the bedding is from The White Company. 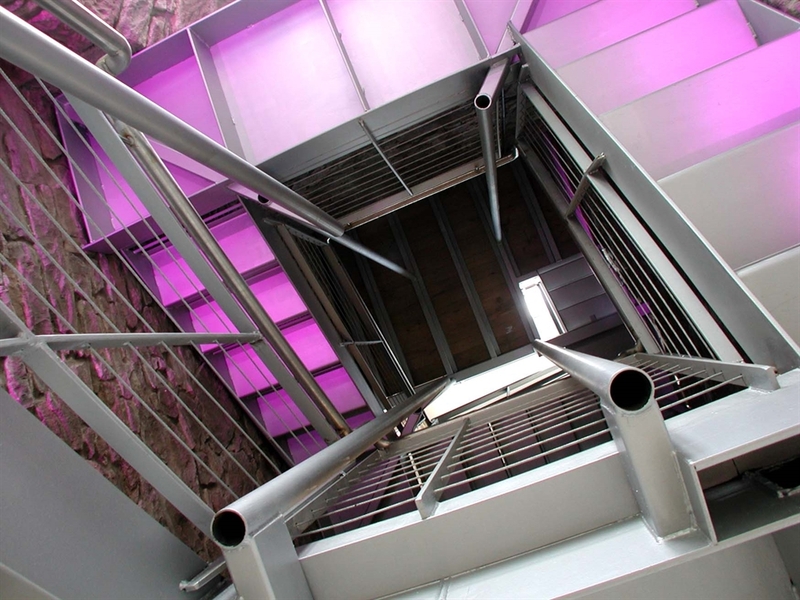 From the first floor, you enter the light-flooded Tower, with the steel staircase. 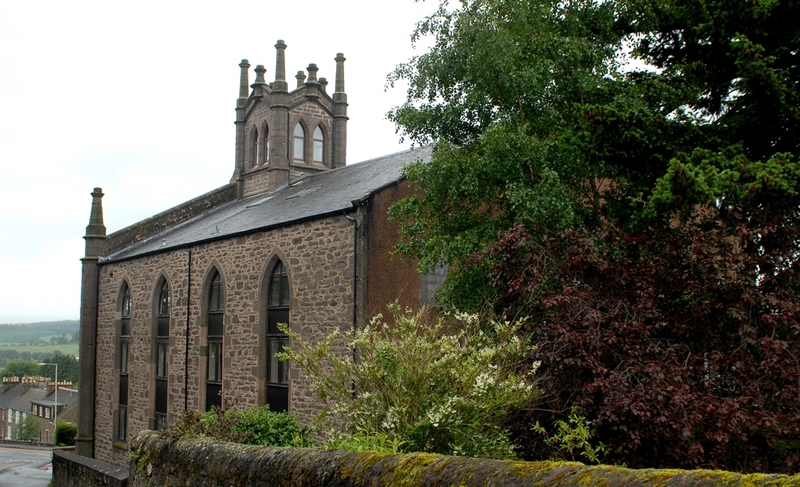 The Tower has retained its originally features in the old stone walls and evangelistic windows. Halfway up the Tower staircase, you enter the large open plan living area, with the balcony at one end and the kitchen at the other. 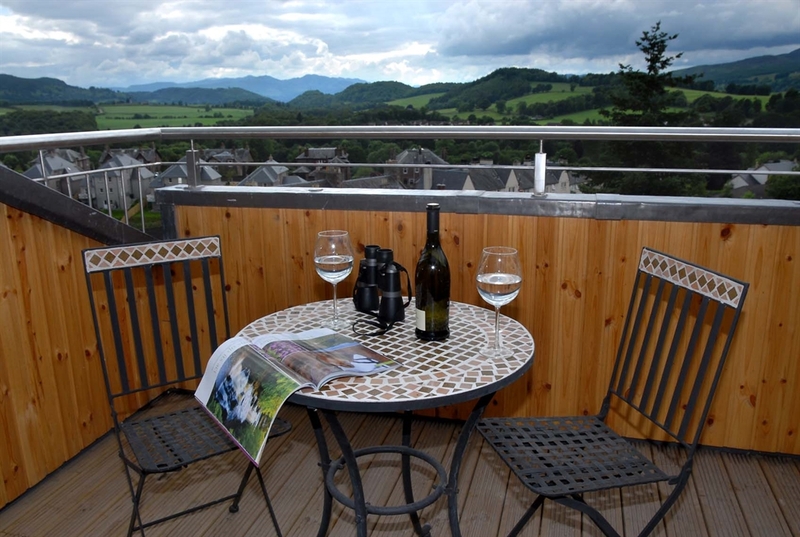 The balcony enjoys wonderful views over the Crieff hills and beyond. Off the living area is the TV snug with 42" wall-mounted TV, together with comfy sofa and arm-chairs. 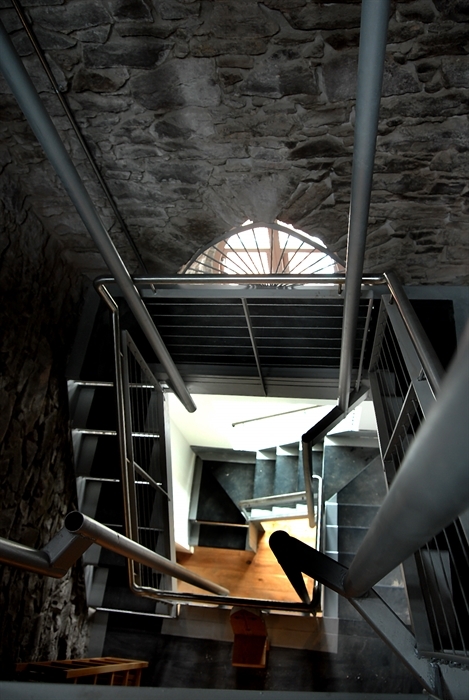 Continuing up the staircase, you reach the top of the tower, with spectacular 360 degree views across Crieff and the surrounding hills. From top of the library, you can relax in the comfortable armchairs, and enjoy the views. The Church Tower has solid oak wooden flooring throughout the entire property. The Tower is furnished to an exceptional high standard, with a tasteful mix of the antique and modern furniture. There is brilliant collection of original artwork throughout the Apartment. Real attention to detail in the Church Tower is everywhere. The Wireless Music Centre allows you to listen to your chosen music in the living area and kitchen and even the bedrooms. You can listen to different music in every room and your music can follow you wherever you are in the Apartment. As one would expect in a Tower, there are 4 flights of stairs upto the Apartment front door. Once in the Church Tower, there is a further flight of stairs to the living room/kitchen area, and other flight to the very top of the tower. Please check out the website www.croftweit.co.uk for prices & availability. Booking can be made on-line. The website also shows floor plans of the tower, so guests can get a clear idea of the layout of the tower.